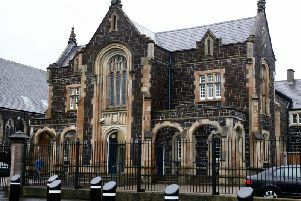 A drug addict caught red-handed stealing from vessels at the Blue Circle Boat Club at Magheramorne near Larne who breached a court order requiring him to do community service and attend probation meetings, has instead been given nine months in jail, suspended for three years. Paul James Bowers (26), originally of Skegoneill Avenue, Belfast, but now with an address in Antrim, struck at the boat club at Larne Lough, Ballymena Magistrate’s Court heard. A prosecutor told a previous hearing that police received a report of two males and a female taking items from boats at the boat club and stolen items were found beside trees. Bowers made full admissions to police saying he had gone to the area to steal and he was the only person responsible for taking anything. Defence barrister Neil Moore told the earlier court his client, who had a criminal record, had drug addiction and mental health issues, and after coming to the attention of “individuals”, his home was attacked and damaged. He said Bowers stole to get money for drugs. Bowers had pleaded guilty to four charges of theft; going equipped for theft; criminal damage and possession of cannabis. He had with him a knife, scissors and latex gloves for use in theft and had stolen a Sat Nav, radio, wheel nuts, lifejacket, tank and petrol and damaged a tarpaulin. Back at the same court on Thursday, where Bowers appeared via video link from prison, Mr Moore said his client’s home in Belfast had been attacked by paramilitaries, and for a period of time, the defendant had lived a “transient lifestyle”. Deputy District Judge Peter Magill told Bowers he had completely failed to co-operate in respect of the Court Order but told the defendant he could thank Mr Moore for persuading him to give him “one last chance” as he imposed a suspended custodial term.